Posted byAtulHost	 February 24, 2017 December 23, 2017 Leave a comment on How to Choose a Biometric Gun Safe? Undoubtedly, a biometric gun safe is a good modern day solution for a perfect gun safe. It uses the biometric method to allow you to open the gun safe extremely easily while prohibiting all others. Biometric methods make use of the body traits to recognize the individuals who have the authority and rights to access or use certain things. As biometric systems use elements such as fingerprints or face identification which is unique to that person only, they disallow intruders to temper with things they do not have any rights. Hence, a biometric gun case identifies you by your fingerprints or face recognition making it easy for you and only you to open the gun case and shuts out all unauthorized access to it. 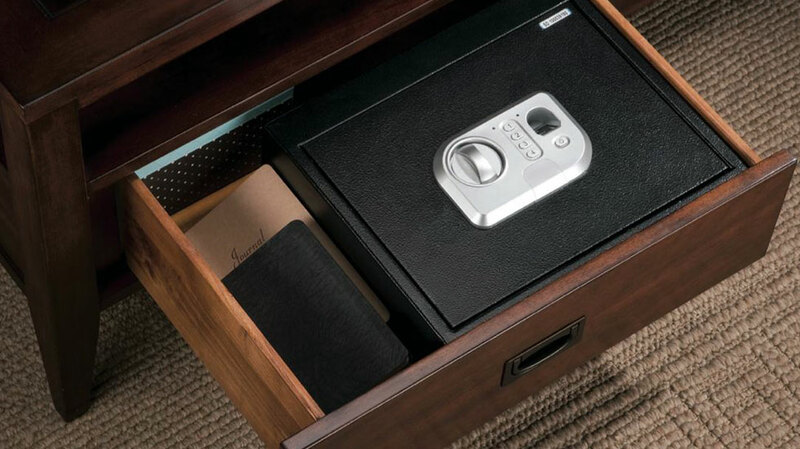 Let us talk more about How to Choose a Biometric Gun Safe? If you want to purchase a biometric gun safe it is better to weigh certain factors before selecting one. Here are some of the considerations you would like to take note of before selecting a biometric gun safe. 1) Select the right size gun safe. If you have a small handgun to store and few valuables you need not go in for a large size. Large biometric gun safes do have more features but they are more costly. 2) Find out how strong your biometric gun case is. A stronger safe is always more preferable. So you can always select a stronger safe to a weaker one. 3) Determine if your safe can recognize only one fingerprint or many. It is better to choose a gun safe which can recognize many fingerprints, just in case you want to allow your family members to use your safe as well. 4) Select a biometric gun safe which has a low false rejection and false acceptance rates. A vault having higher values is definitely more error prone and may not allow you to open the safe or may allow unauthorized access by error. 5) Determine whether it will be possible to store all your valuables such as firearms, jewelery, medicines, documents etc, and whether there are enough separate compartments for storing them. 6) Choosing a gun vault which has emergency keys or keypad apart from the biometric system is always more preferable. This can give you an alternative method of opening the safe in case something goes wrong. 7) Confirm the method of easy and secure installation of the gun safe and mounting options (if there) should also be considered while buying a biometric gun safe. 8) Biometric gun safes require batteries to operate. Consider buying a safe with longer battery life so that you don’t have to change the batteries often. But the most important of all the considerations is, of course, the reliability and the timing with which your biometric gun safe opens. If it takes more time it wants to save your life. The modern day and high tech solution, the biometric gun safe makes it easy to store your guns and other valuables, open the safe very easily and shut out all other persons from tampering with your valuable belongings.